Jamis bicycles offer pure, polished performance and genuine craftsmanship. Marin County California is the birthplace of mountain bike culture, and home to many of the people and places that have shaped the sport since those first informal, now-legendary, races down Mt. Tamalpais. 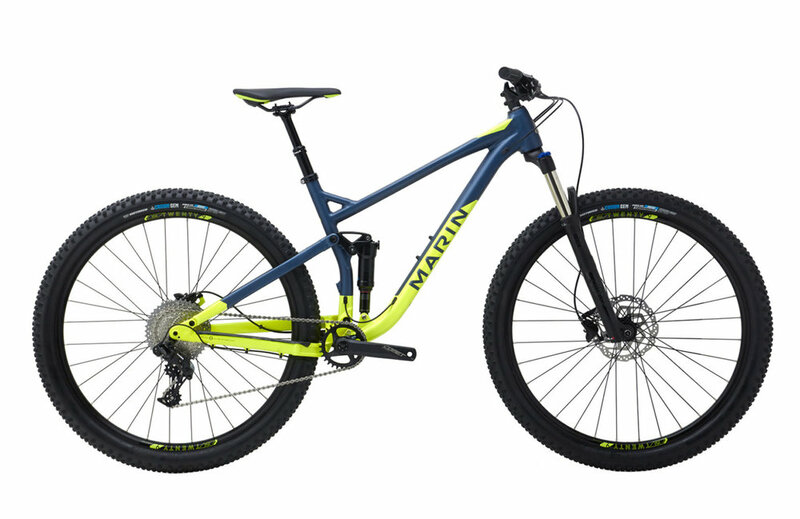 Marin Bikes was founded in 1986 during the earlier days of mountain biking, and today offers a complete line of mountain, pavement and kid's bikes. Throughout the '90s and 2000s Marin built a worldwide following through innovative, competitive bikes and successful sponsored riders. Hydroformed, monocoque and an increasing number of full-suspension models and the QUAD-link design, coupled with a greater emphasis on pavement bikes, has firmly entrenched Marin as one of the bicycle industry’s key influencers. They believe that bikes make us better people: healthier, more relaxed, and happier. It is Marin's mission to get you on a bike, and to make sure that you have a good time doing it. We are an authorized marin Dealer and can order any bicycle in the marin line. We’ve chosen a few of our favorites here. Riding a bike is fun, and having fun on the trail was Marin's intent when creating the Hawk Hill. Built around the MultiTrac suspension system, the Hawk Hill is Marin's most playful and fun suspension trail bike to date. Lightweight 27.5” wheels accelerate quickly and ft most riders better, leading to a snappy and fun bike out on the trail equally at home on rolling hills or downhill singletrack. Entry level through to high-performance spec, everyone can fall in love with mountain biking over and over again with the Hawk Hill. The Pine Mountain is taking hardtail adventure and trail riding to the next level with a classic steel frame matched to large volume 27.5+ tires that roll fast and grip anything. Choose between Columbus Thron tubing and locking thru-axles on the Pine Mountain 2, or butted CroMo frames on the Pine Mountain and Pine Mountain 1 and go places you didn’t think a hardtail could. 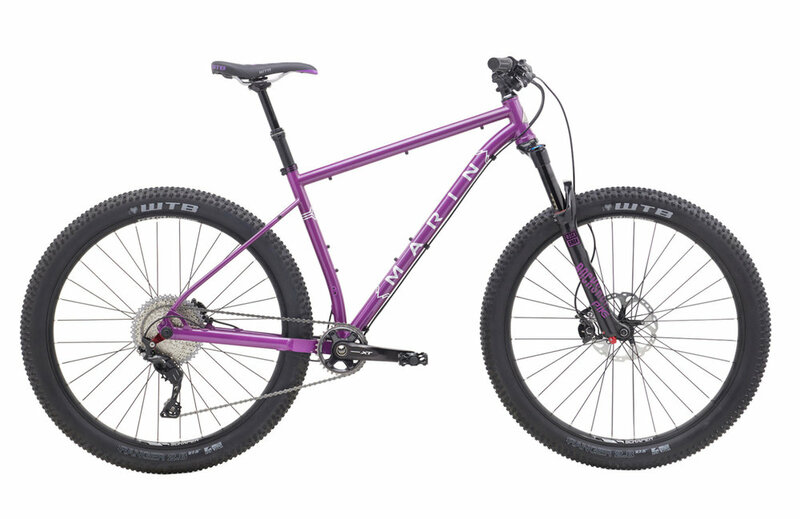 Trail ready geometry, plus-sized tires, and wide-range 1x drivetrains makes these bikes worthy of both your daily ride and most epic trail adventures. It’s time to get out and explore with the Marin Pine Mountain. For more detailed specifications, or to view additional Marin bikes available through Piccadilly Cycles, view the entire catalog. Typical lead time is 5-7 days on any bike not currently in stock.